Lloyd of Gamebooks: Yes - I've finally sold out or: It used to be all about the music, man. Yes - I've finally sold out or: It used to be all about the music, man. 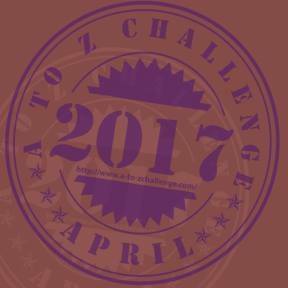 I've made some changes to the blog today - I've added a poll, an email subscription link and my April A to Z picture. I intend to do it again as it was a great way to look at lots of new blogs. I was blog 714 to sign up so there's a lot to look at. I've also added an ad. Yes, I'm monetizing. I didn't want to for a while as I just wanted to sell gamebooks but, in my endless quest to listen to every podcast ever made, I stumbled across Pat Flynn's blog and podcast called Smart Passive Income. His podcast and blog have given me some great ideas and tips for getting income quite easily and by putting in very little effort. The obvious one is using ads. Another one is the use of affiliate links. I've linked to a lot of products that I love in this blog, but I never knew that Amazon had an affiliate links program. What this means is that if I sign up as an affiliate, I can get links to all the products on Amazon. If anyone buys a product from one of my affiliate links, I get some commission. It will not cost you anything else. Pat Flynn also told me to tell you that I'm using affiliate links, so that is what I'm doing. I'm going through old posts and adding some affiliate links to Amazon. From now on, if you click on a link that leads to Amazon, it will be an affiliate link and if you buy a product from that link, then I will get commission. You will not need to pay anything extra and I thank you very much for buying your product in a way that makes me a little extra money. The podcast also suggested that Infobarrel is a way of earning some passive income. Infobarrel is a site where you write articles and your get money if people click the ads on your article. Since you cannot add articles that you cannot find elsewhere on the web, I won't be writing much about gamebooks on Infobarrel (I might write an introduction to what a gamebook is at some point). My profile has only one post at the moment and this is about avoiding mistakes in A level chemistry questions about ionisation energy. I will also be writing other posts on Infobarrel so watch this space. So there we go. Please don't be mad at me for trying to get money for what I do. 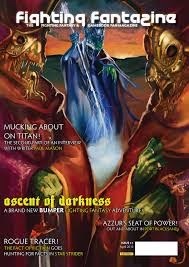 I still love gamebooks and want their babies and ?I still love you, my readers, but I also want to see just how far I can take my blog, twitter feed, Youtube channel and god knows what else. I'm not expecting millions, I'm just curious. Andrew Wright's new review at Lone Tiger Gamebook Reviews. Two time highly commended Windhammer contender Ashton Saylor's new blog. This is actually very interesting. My understanding is that blogs never become major revenue sources, but every little bit counts. As long as it's not infringing upon the user experience (and honestly--links to cool stuff on amazon is not an infringement) I don't see any reason not to take advantage of what resources you can get from it. Actually, thank you for writing this up. I think I'll use some of these ideas in my own blog! Thanks for the comment Ashton. I hope it goes well for you too. Pat has loads of other great stuff on his podcast.